Just when you thought all of the competitive forces around you were done exploding, you just might have missed what’s been happening down the street and around the corner. 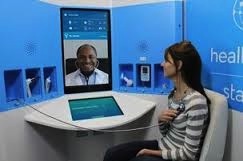 The retail world continues to bite into traditional provider turf with clinics and kiosks in non-traditional locations. 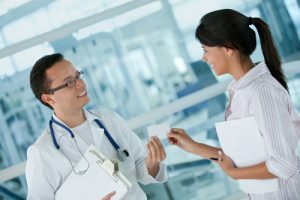 Here are some competitive forces in healthcare marketing that you might not have seen growing among walk-in medical facilities located in pharmacies and major retail chain stores. 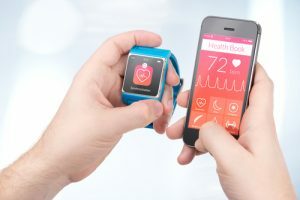 Not long ago, the respected MedCity News anticipated several healthcare industry trends, including growth among established provider services available in non-medical venues. “The number of U.S. retail clinics is expected to climb to 2,500 in 2013, an increase of about 38 percent over 2012,” they reported with attribution to Merchant Medicine. In case you missed the rebranding move, in-store “Walgreens Take Care Clinic” is now called “Healthcare Clinic.” About the same time, Walgreens—second largest among retail clinic operators—expanded the services available at some 400 locations. 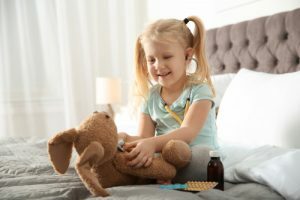 In addition to the pharmacy and elementary care, Healthcare Clinics are now diagnosing and treating chronic conditions such as asthma, bronchitis, emphysema and even cardiovascular conditions. 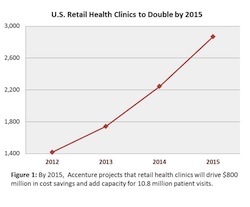 Retail clinics are a convenient option for many Americans. 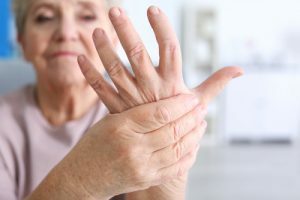 About two-thirds of the US population is within five miles of a Walgreens location, and 30 to 40 percent of retail clinic patients do not have a primary care physician. Above and beyond the provider competition (now into the thousands) in pharmacies and big-box stores—such as Walmart and Target—at least two serious players want to make health kiosks in malls, work sites, health clubs and similar locations. 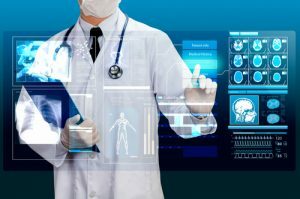 It’s not an entirely new idea, but advances in technology and tele-medicine are advancing the idea. “According to Merchant Medicine, companies like Stayhealthy and Healthspot are among the firms with health kiosks that offer services that would otherwise be provided in a doctor’s office,” reports MedCity News. “Health kiosks can used to take basic readings, perform primary care and even deliver minor urgent care.” Read more about the New Age for Healthcare Kiosks in this Forbes report. The bottom-line concern for hospital and healthcare providers—especially primary care physicians—is that competition is no just the facility or practice down the street. Retail healthcare services are not only well established, but they are growing in number and in capabilities. The American public is increasingly discovering your competition in nearby, neighborhood locations where they do their routine shopping. We’d like to hear from you on this. Is your competitive environment getting worse? How have you answered this marketing challenge? How Do We Salvage This Wreck?